Implementation of user generated content for marketing is one of the fastest growing trends among top brands. Mobile devices with high-quality cameras have made it easier than ever for users to take photos, and the emergence of intuitive visual commerce platforms has made it simple for companies to obtain photos, collect user information, and manage their photo libraries. 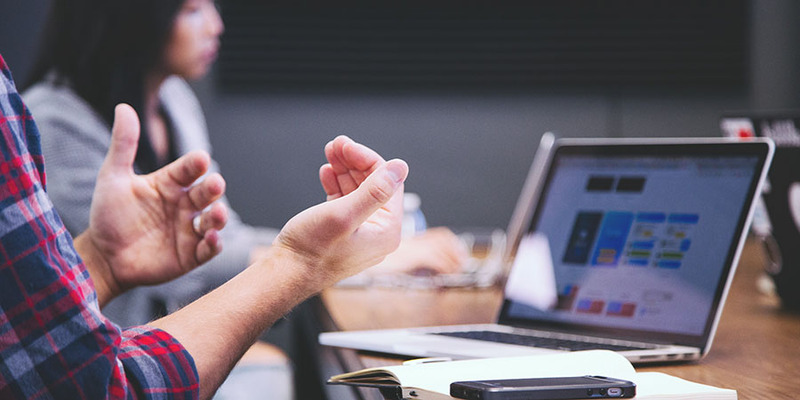 The addition of user photos to a company website also carries the advantage of implied trust, which comes by displaying regular folks who have engaged with a brand. In fact, 93% of consumers say they find user generated content helpful in their purchase decisions. Melissa & Doug’s story is one of the prime examples of how user generated content can lead to success. Melissa & Doug is a children’s toy company founded by Melissa and Doug Bernstein in 1988. Initially focused on puzzles, the company eventually expanded to include a variety of children’s toys. As a company that caters to youngsters, Melissa & Doug has made a point of keeping up with the latest social and marketing trends. When Melissa & Doug planned on launching a new site that featured a move to Demandware, they wanted to put their customers in the spotlight by featuring user generated content (UGC). The Melissa & Doug team already knew that customers who loved their products often posted photos on popular social media platforms like Facebook and Instagram. 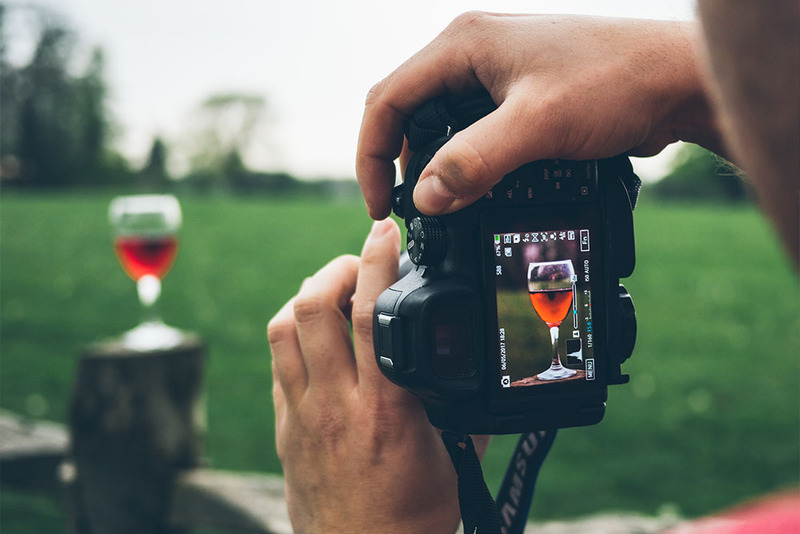 The goal was to take these user generated content examples and integrate them seamlessly with their new Demandware platform while promoting continuous UGC content production. Collecting Images: Melissa & Doug needed an efficient way to access and organize the photos that were already available online while also promoting continued UGC. Annex Cloud was able to help by allowing the toy manufacturer to pull relevant consumer photos from popular social networking sites. For instance, Instagram images under a certain hashtag were flagged and collected for further inspection. In addition to gathering images from social media sites, Annex Cloud also set up an easy, intuitive photo upload process directly on the Melissa & Doug website. Allowing consumers to upload photos directly helped boost the site’s engagement while also maintaining customer interest. Obtaining Permission: Before a company can take advantage of an image, that company must obtain permission from that image’s owner. When it comes to image use, the two major categories of consent are implicit permission and explicit permission. Implicit permission works on the assumption that an image is free for use by a company simply because it is online and somehow associated with that brand. For instance, if an image is marked by a certain popular brand’s hashtag on Instagram, the uploader probably does not mind if the brand uses that image. Instead of relying on implicit permission, which is murky territory when it comes to legality, the Annex Cloud team encouraged the collection of explicit permission for all collected Melissa & Doug photos. Gaining explicit permission meant respectfully asking users about using their photos. Because much of UGC for Melissa & Doug featured children, obtaining explicit permission was an absolute must before use of any tagged or uploaded photos. The specialists at Annex Cloud made the process simple by setting up a comprehensive pre-approval process for images collected around the web, making it easier for Melissa & Doug to moderate the permission taking process. Of the queried toy company users, the majority, 79%, gave consent for photo use. 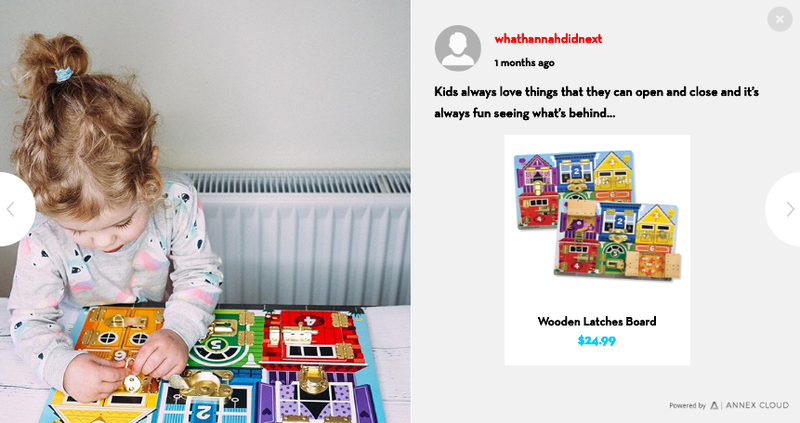 This left Melissa & Doug with plenty of UGC to legally use on their website to promote their toys. Image Organization: After permission was obtained, the images were curated, organized, and optimized into a visually appealing display on the Melissa & Doug website. Annex Cloud helped implement a dynamic platform that allows the Melissa & Doug team to optimize the best available images and use those images as visual content for their site. Meanwhile, other photos became part of a gallery that is available for user enjoyment. Customers have the option of browsing or searching for their favorite images using a hashtag. 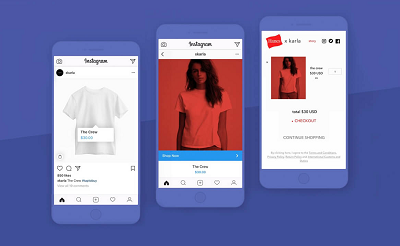 All photos are also made shoppable, which allows consumers to view product details simply by clicking on the item’s picture. Not only was Melissa & Doug able to capitalize on existing user generated content examples, but they were also able to significantly grow their image inventory, increase site engagement and improve sales. In just five months, Melisa & Doug collected over 2000 high quality photos for their website. Meanwhile, the site’s visual commerce user conversion rate has grown 89%. Ultimately, Melissa & Doug reported a 123% ROI on their visual commerce platform in just the first five months.